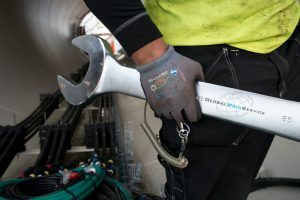 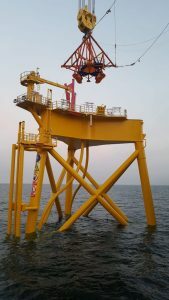 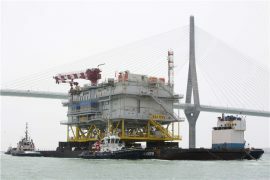 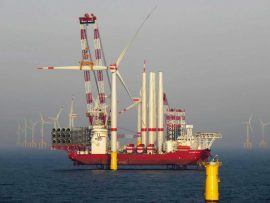 DeepOcean has installed the first of two HVAC export cables on the 714MW East Anglia One offshore wind farm in the UK. 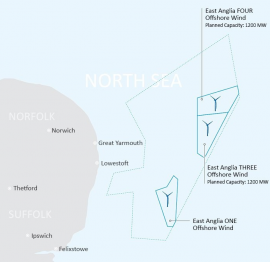 3sun Group has secured a contract to service the construction phase of the East Anglia One offshore wind farm from the project’s new base in Lowestoft harbor, UK. 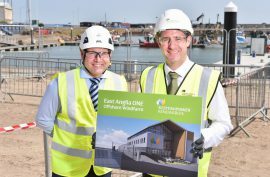 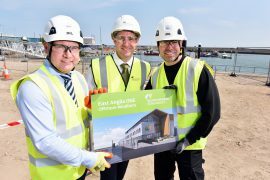 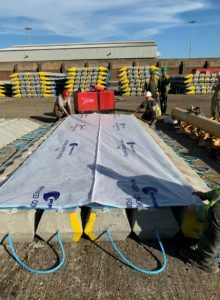 ScottishPower Renewables has held a groundbreaking ceremony for the East Anglia One operations and maintenance (O&M) base at the Port of Lowestoft. 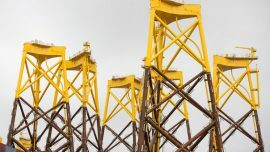 Wind farm installation vessel Seajacks Scylla has completed maintenance checks and is ready for its deployment at the East Anglia One offshore wind project in the UK. 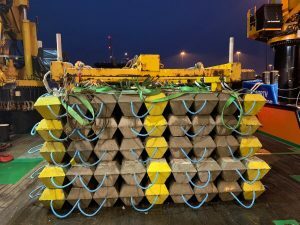 The Netherlands-based Temporary Works Design (TWD) has provided Van Oord with a jacket lifting tool for the installation of the foundations at the East Anglia One offshore wind farm. 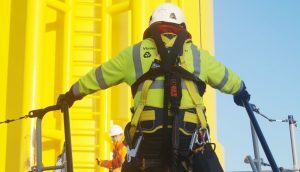 Fern Communications has won a contract to provide its radio communication system during the construction of ScottishPower Renewables’ East Anglia One offshore wind farm. 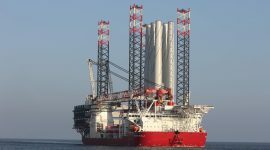 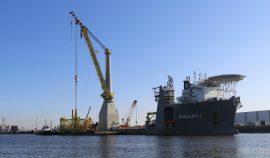 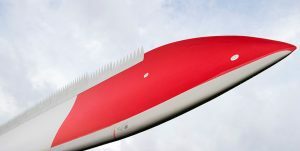 Wind farm installation vessel Seajacks Scylla is set to begin working on the East Anglia One offshore wind farm at the end of July or the beginning of August, a spokesperson on behalf of Seajacks told Offshore WIND. 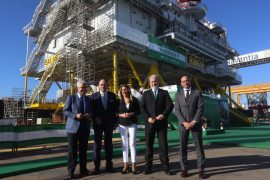 ScottishPower Renewables has awarded ODE with a consultancy framework agreement for the provision of client representatives during construction activities at the East Anglia One offshore wind farm. 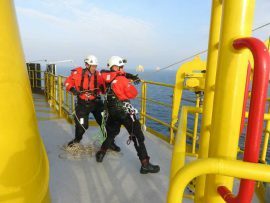 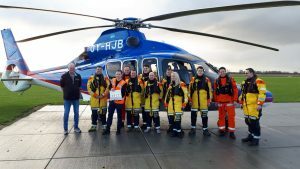 ScottishPower Renewables has awarded Specialist Marine Consultants (SMC) with a client representative contract for the East Anglia One offshore wind farm in the UK. 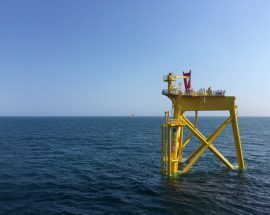 ScottishPower Renewables has awarded UK-based CPower Energy with a preferred supplier contract for the provision of commissioning personnel for the 714MW East Anglia One offshore wind farm. 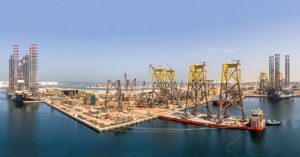 The UAE-based Lamprell has shared a photo showing recent load outs of the jacket foundations built for the 714MW East Anglia One wind farm from the company’s Hamriyah facility. 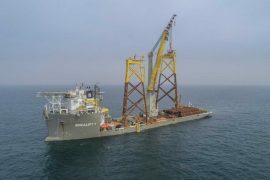 The recently converted self-propelled DP2 crane vessel Bokalift 1 has started installing foundation pin piles on the 102-turbine East Anglia ONE offshore wind farm in the UK North Sea waters, Van Oord, the contractor for the foundation transport and installation works, told Offshore WIND. 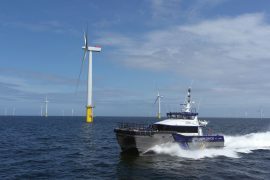 Lowestoft-based crew transfer vessels (CTV) operator Turner Iceni has been awarded a contract exceeding GBP 4 million by ScottishPower Renewables to provide support for the construction of the East Anglia ONE offshore wind farm.